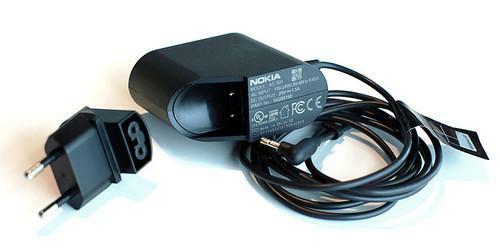 Nokia has discovered a safety issue with the AC-300 charger. Nokia has temporarily halted sales of the Lumia 2520 in seven countries, because the tablet's AC-300 charger can give users an electric shock. The problem is that the plastic cover of the charger's exchangeable plug can come loose and separate. If that happens, internal components can cause an electric shock if touched while the plug remains in a live socket, Nokia said on Thursday. The issue was discovered during an internal quality control check. So far there have been no confirmed consumer incidents. But as a result, sales of the Lumia 2520 tablet have been temporarily halted in Austria, Denmark, Finland, Germany, Russia, Switzerland and U.K. Consumers in those countries should stop using the charger as well as the Lumia 2520 travel charger accessory, according to Nokia. The travel charger has also been sold in the U.S.
Nokia's Jo Harlow, executive vice president of Smart Devices, apologized to the owners of the Lumia 2520, and said the company is working as fast as it can to minimize any inconvenience. In total, approximately 30,000 chargers are impacted. The low number hints that the tablet hasn't been very successful. Lumia 2520 owners who want more information can visit the dedicated site Nokia has posted.